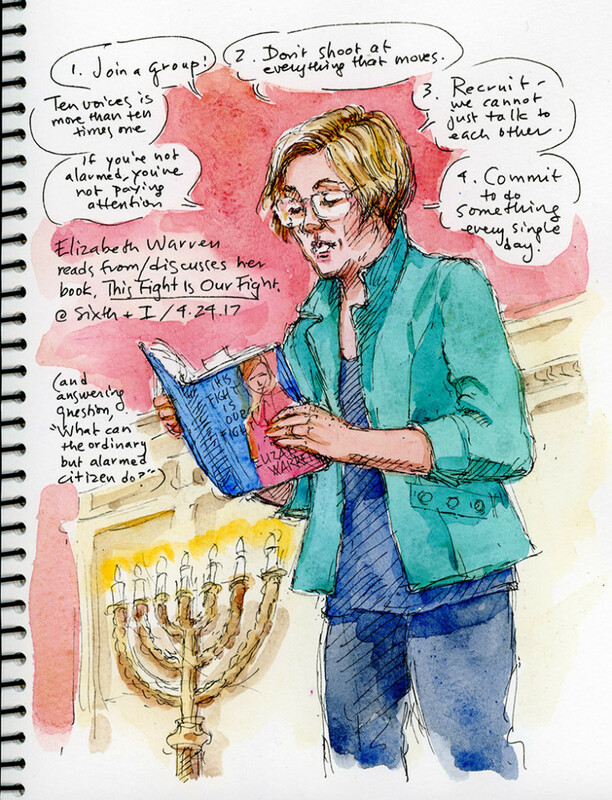 The amazing and inspiring (and very funny) Elizabeth Warren reading from her new book, This Fight Is Our Fight, and answering questions from a packed house at Politics & Prose’s Sixth and I event on Monday. Thank goodness there are at least a few members of Congress who are intelligent, well-informed, straightforward, and genuinely concerned about the welfare of ordinary human beings. You are currently browsing the Each Day Is A Celebration blog archives for April, 2017.